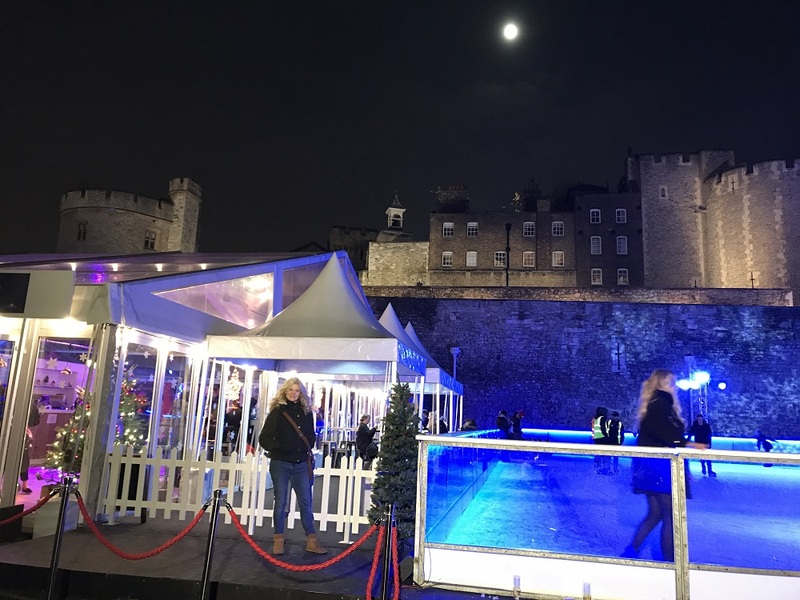 Its been a while since I ice skated and I was excited to rediscover it especially in such a magical setting with an invite to the launch of the Tower of London Ice Rink. In fact, I was so excited, I invited some friends along to share the fun. Here’s Lisa, who came along, making some shapes as she can skate rather better than me! 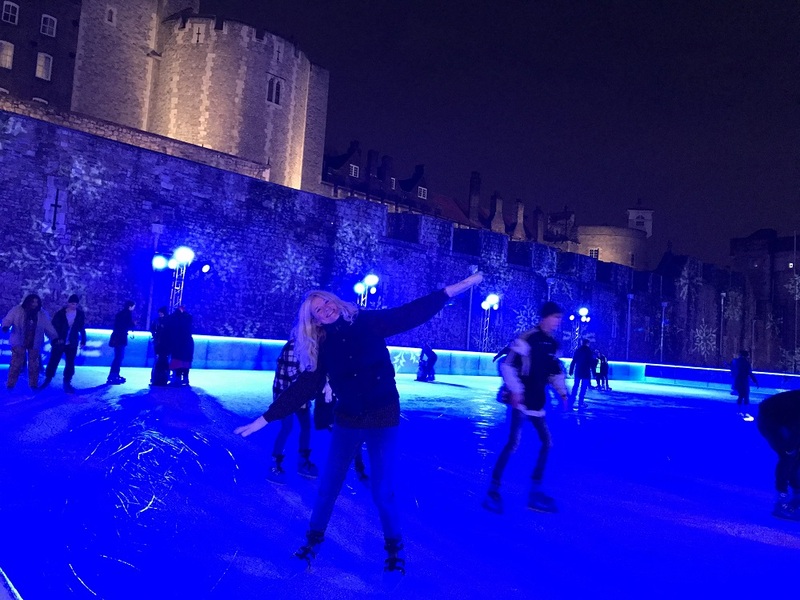 What could be better than skating on the sparkling white ice under the shadows of the infamous Tower of London? It’s always special for me as I used to work within the Tower and I recall it fondly. 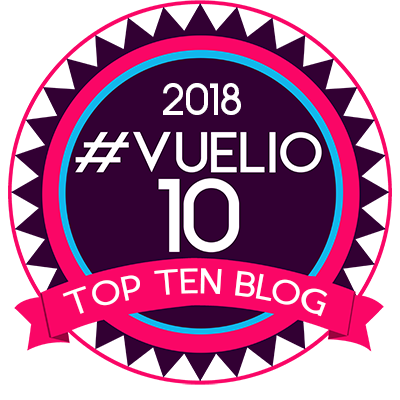 Not only is the Tower stunning but you are surrounded on all sides by London’s city skylines including the Shard which stretched high above you. It’s important to wrap up warm as even on a not so cold day the ice can make you feel chilly. It’s also good to have some padding…just in case you have a little topple. Definitely wear gloves! The set up is easy and you enter down some steps, past the rink and then through the bar to get your skates. After changing into your skates you make your way out into the open air rink. It was press night so we were greeted with a welcome drink. We also had some warming mulled wine in between our times on the rink. 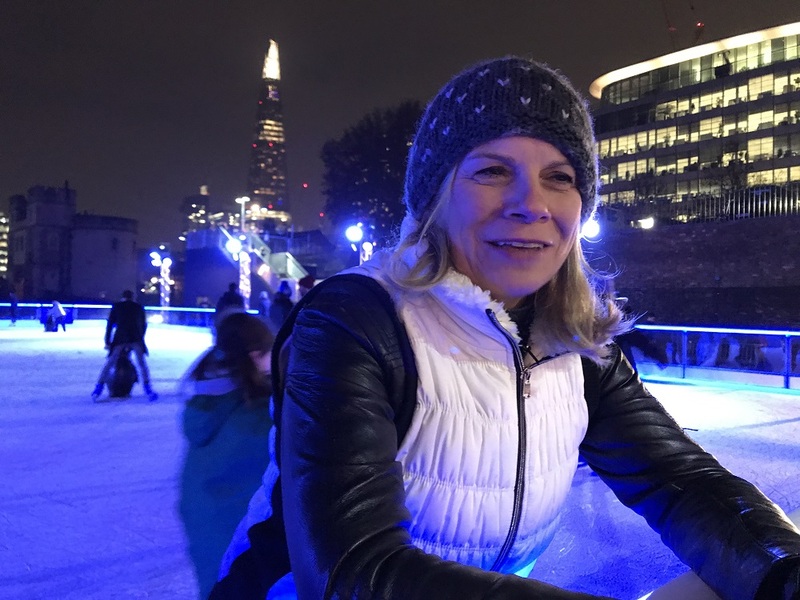 It is, definitely, possible to skate after a drink and may even be helpful if you are feeling a little apprehensive… Just don’t have too much! The atmosphere was upbeat with music playing as people happily skated round. They have special penguins to help you skate. I suspect they might be intended for children but I can confirm they are equally helpful and a bit of fun for the adults. 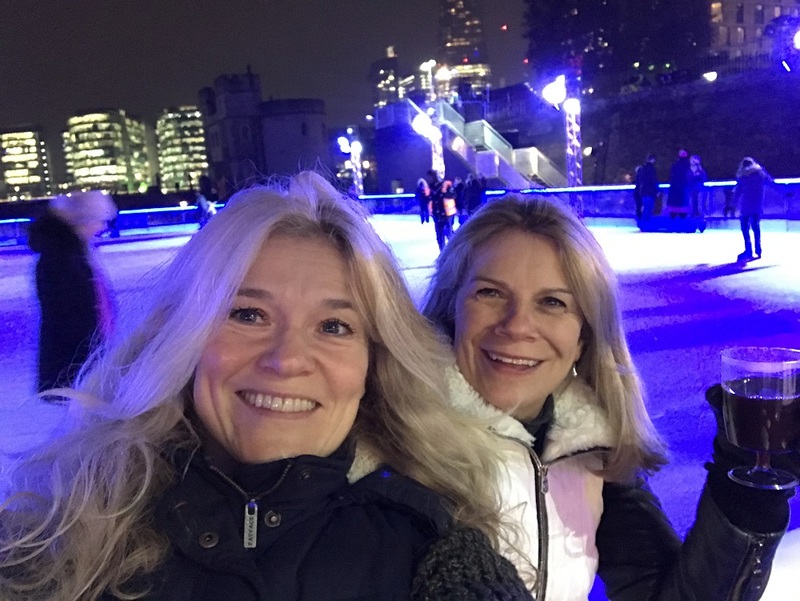 We were guests of the Tower of London and had an amazing time trying out the ice rink there. 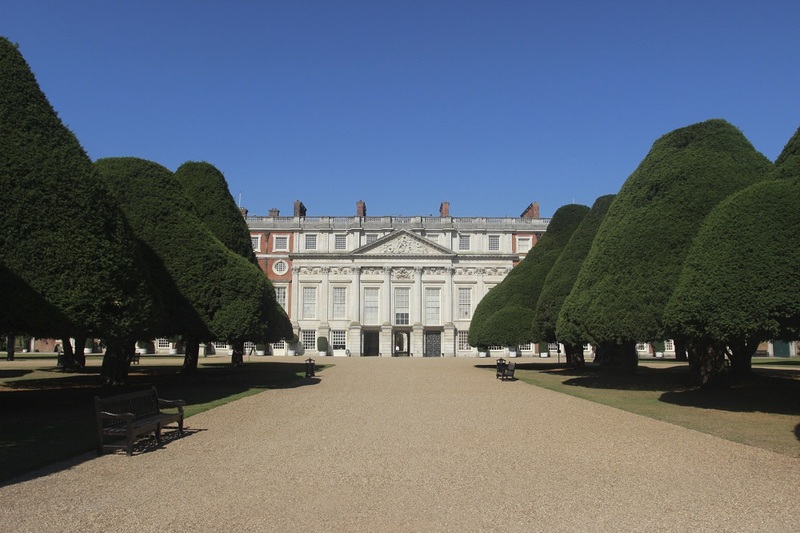 Both the ice rinks at the Tower of London and Hampton Court Palace are now open for the winter season in London. 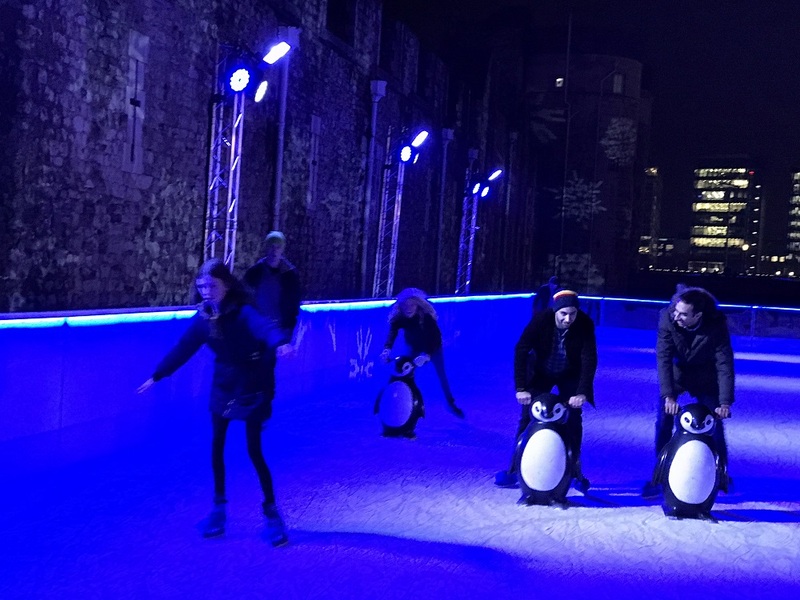 From now until 6 January 2019, visitors to the capital can skate back in time, enjoying the stunning backdrops of these iconic historic attractions. What better place to spend an hour or so this winter?